The Shofar Factory is a hands-on workshop for the very young and the young at heart. Experienced craftsmen guide children through the step-by-step process of crafting a shofar. Once the work begins, volunteers are called up to separate the shofar from the core, clean and measure the cured horn. Volunteers then saw off the solid end of the shofar and help drill the mouthpiece. The horn is cleared, tested and polished, and the delighted participants learn how to blow the shofar. The Shofar Factory is guaranteed to inspire children and adults about our rich heritage. Starting in 1943 the previous Lubavitcher Rebbe founded a program later called Merkos Shlichus. Through the program pairs of Yeshivah students utilize their summer breaks to visit remote cities and villages throughout the world in the search of Jews, hoping to rekindle their Jewish spark, and connect them with the wider Jewish community. Yeshiva students come to Rome on a steady basis to help in the work especially during holidays and the summer, certain times the Merkos Linyonei Chinuch Central Chabad Headquarters pays for the travel expenses for the students to arrive in Rome, all other expenses are paid by Chabad Piazza Bologna with support from the central office of Chabad Lubavitch Rome. The total expenses are €10.000, the income from the Seder is about €4.500, we are missing €5.500 please help us cover part of the expenses by clicking on the donate button. Known as the New Year for the trees, it's contains a symbolism being that a person is compared to a tree. Chabad organizes activities related to trees and fruits for children, women or students in anticipation of the special day. 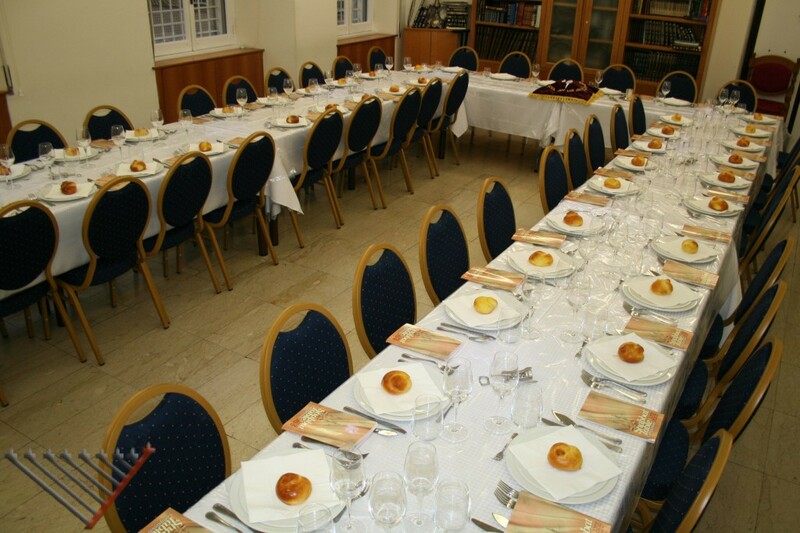 Chabad also organizes a Seder Tu Bishvat, a meal where we bless various fruits. Challa, round Challah, doughnuts, Latkes, Kneidelach, Kugel, cheese cake and the list goes on, these are some of the recipes presented at the cooking classes. During the class Mrs. Rivkie Lazar explains the significance the different recipes in Judaism. Although the central Chabad organization runs a Sunday Hebrew School, some parents can't bring their children on Sunday morning, so we started a Hebrew School during the week. The Torah commands us to immerse a new utensil used for food in a Mikvah, this purification is not necessary if the utensils was crafted by a Jew. The immersion is not related to the physical Kosher status of the utensils but to its spiritual status. The immersion is compared to the immersion of a convert. Metal utensils are required to be immersed from the Torah, the sages added also glass utensils. Other types of utensils don't require immersion but whoever immerses them will be blessed. Rabbi Lazar offers a service of pickup and dropoff of the utensils for the Jews of the area. In the first weeks that the service was offered over fifteen families immersed all their utensils of their kitchen. Since 2014, Chabad in the Piazza Bologna area in Rome hosts large family style Shabbat and holidays meals for local Jews, foreign students learning in Rome and tourists, to enable them to live a true Shabbat and holiday experience. To signup go to the Event list and select a Shabbat. Nobody will be turned away due to lack of funds. There are many Hotels and Kosher B&B in the Piazza Bologna area, Click here to book a regular Hotel or here for a Kosher B&B, If you would like to stay at a luxury 5 star hotel in the center of Rome, the Via Veneto area has many which are between 20 and 30 minutes walk, click here to book a luxury 5 star hotel. Families are happy to host visitors for free, we have families close the synagogues in the Piazza Bologna, Repubblica and Marconi area. To be setup by a family please fill out the form. The closest families to the Great Synagogue are about half hour walk. During the summer months (June-August) Families don't offer Shabbat meals. Donations to Chabad (you could also choose from one of our many projects), preferably before Shabbat, are appreciated so we could notify the families about the gift. The families put in lots of effort to host visitors, unfortunately in the past people that booked didn’t show up, in order for the families to continue to host people we ask to please notify us as much in advance if you won’t be able to participate. 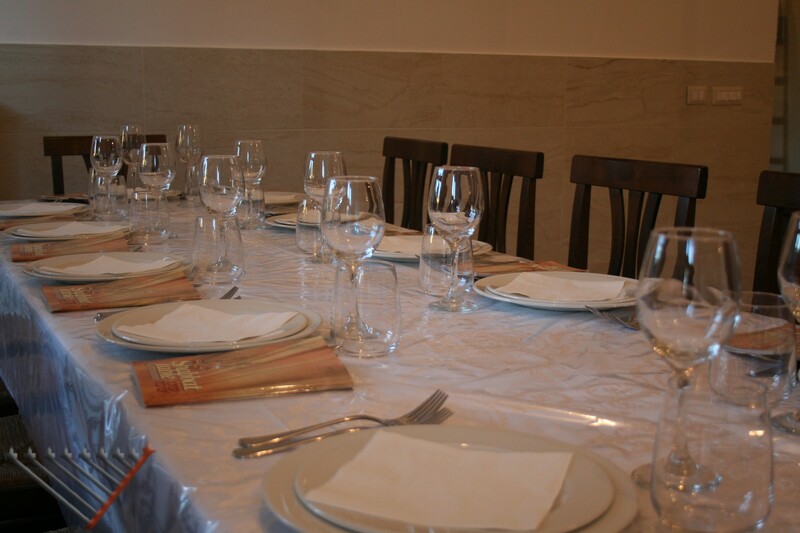 Restaurants (not Glatt) in the Ghetto quarter are open on Shabbat by prepaying in advance (the price is 35-40 euro per person per meal), please contact us so we could direct you to the restaurants that are open during your stay. Meals could also be purchased at the restaurants before Shabbat, closing time is around 3 pm. There are many Kosher private caterings in Rome that prepare and also deliver the meals to your hotel. Children from across the globe living in different cultures come together through the Children's Sefer Torah written in Jerusalem. Since 1982 over a million children already signed up. The Torah tells us, that children are considered to be pure and without sin. Thus the Children’s unity, through the Torah, is much purer than a unity between those who are older. That's what's so special about every Jewish child having his or her very own letter in the Children's Torah Scroll. It ties all the Jewish people together stronger and tighter to each other and to our precious Torah. And shows us that we are all important to each other. Chabad Piazza Bologna helps parents buy letters for their children, letters could also be purchased directly. Brit Milah is a central commandment in Jewish life, Chabad helps and reaches out to families to perform this Mitzvah, puts them in touch with a Mohel and make sure everything works out. In certain circumstances, the Mohel doesn't charge a fee and even pays his own travel expenses. What did the original Menorah really look like in the Holy Temple in Jerusalem? What really is Shemen Zayit Zach (pure olive oil)? How did the Maccabees of old make olive oil for the Golden Menorah? The Olive Oil Press Workshop answers all these questions and many more. Our current workshop demonstrates, with the help of participants, the process the Maccabees used to refine Olive Oil for the Menorah in the Chanukah story. Students sort and hand-press fresh olives in an old fashioned olive press made of wood and cast iron, then decant the olive juice with a modern centrifuge to quickly extract the pure olive oil - authentic "Shemen Zayit Zach". As the olive oil is refined, the students hand spin wicks out of cotton and then light the Chanukah Menorah with the resulting oil. Concepts like the reason for using olive oil in modern day Chanukiyot and the proper lighting of the Chanukah Menorah is discussed and demonstarted. Rabbi and Mrs. Lazar are available to answer questions on Jewish Religion, Law, Philosophy or to offer information, advice and comfort. Questions are answered in person by phone, email, text, whatsapp, facebook, twitter or any type of communication techniques available.